Put mail on “postal hold”, stop newspaper delivery and use light timers. Lock up valuables in the hotel’s room safe. Never post your vacation plans or photos on social media websites while on vacation. That’s an open invitation to potential thieves back home. In the unfortunate event you should need to make an insurance claim, you'll want to make sure you have the best coverage possible at the best price. Get your FREE quote today and see why so many members are choosing LMIA/VML Insurance Agency for their insurance needs! Request a quote online at LMCU.org/Insurance or call (616 or 800) 242-9790. Our fraud detection system monitors all debit card and credit card transactions that occur outside of your normal spending habits. If you will be out of town and plan to use your debit or credit card, please let us know ahead of time so that we can notate your account to ensure you have uninterrupted card usage during your travels. 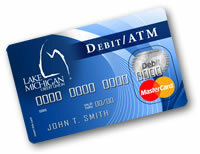 Call (616 or 800) 242-9790 or stop into any branch location.